Rabbi Moshe Feinstein o.b.m. finds it difficult to understand why Avraham was aggravated because he was not able to host guests; after all, when there are no guests to entertain, there is no Mitzvah present. This would seem similar to one who is upset during the weekdays, that at the present moment he cannot observe the laws of Shabbos. 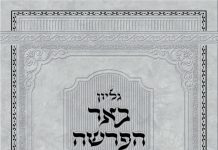 Reb Moshe explains that Chesed is unique. There is a Mitzvah to desire and yearn to do and perform acts of Chesed even when there is no recipient for this Chesed. Similar to one who hungers for food even though there is no food in front of him and he knows that he cannot get any food. This is the type of craving and passion Avraham had towards performing the Mitzvah of Chesed. Our forefather Avraham serves as a beacon to what we should aspire to in our performance of Chesed for others. 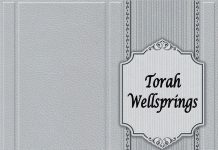 An interesting exercise that the great sage, Rabbi Eliyahu Lopian o.b.m. implemented in his daily practice, was that he made sure that a day should not go by without him consciously performing an act of Chesed for another. The Torah relates that Lot, Avraham’s nephew, invited two people into his house as guests, who were in fact angels. When the inhabitants of Sedom got wind that Lot was in violation of Sedom’s code which prohibited inviting strangers to one’s house, they surrounded Lot’s house and demanded that he release the visitors. Lot tried to reason with the crowd, but they tried to grab him and harm him. The angels pulled Lot indoors, and the verse states, “And the people who were gathered outside were smitten with blindness / hallucinations and they could not find the door to the house.” The angels then rescued Lot, his wife, and two daughters from the destruction of Sedom and Amorrah. I recently read the following fascinating account: A short while after Kristalnacht, (November 9, 1938) the Nazi’s were on the hunt for Jews, specifically the leaders of the Jewish communities, and in particular the head Rabbis of various establishments and Chasiddic groups. The Skolya Rebbe, Rabbi Dovid Yitzchok Issac Rabinowitz o.b.m. who was living in Vienna at the time was forced to leave his residence and go into hiding. Incidentally, the Rabbi and his son were able to flee to Italy and eventually settled in New York. In our youth, both my wife and I (before we met) had the merit to see this great rabbi. Malki received a blessing from him upon becoming a Bat Mitzvah and I saw him when I visited his Shul, which was in my neighborhood. A sight to behold!